Baking soda, also known as sodium bicarbonate, is one of those multi-purpose substances. It is used in baking, cleaning and in creating fun science experiments like bubbling volcanoes, prompting every household to have at least one box in their home at all times. But baking soda isn’t just for the aforementioned purposes. As it turns out, it can be good for your hair, skin and body. Keep in mind, due to its alkaline compounds, when combined with water, it becomes mildly acidic and can be harmful if used in excess. If using it on your skin, test it out on a spot on skin to see how your skin will react to it. Baking soda kills germs and stops swelling — two key components to fighting acne. There is little research on this, but taking into account that acne is a condition with increased oils that clog pores, the alkaline in baking soda can dry out these areas, killing the bacteria that results. Simply mix 1 tsp of baking soda with warm water and put on skin for 1-2 minutes, then wash with cold water. Do this for 2-3 days, then continue once a week until the acne subsides. 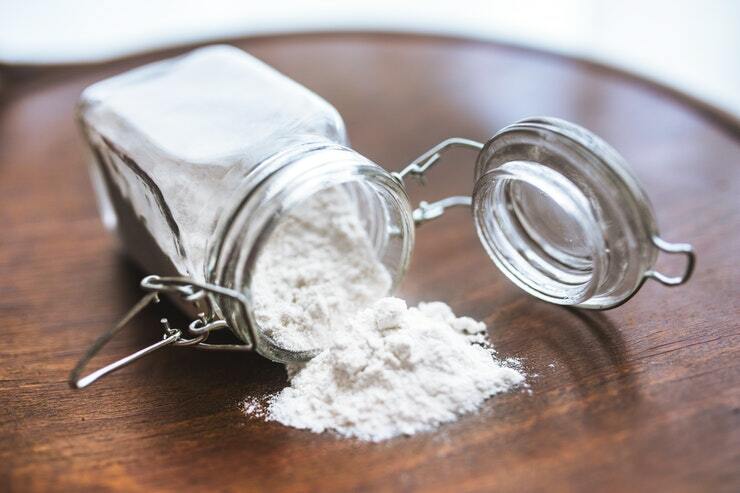 If you find that the baking soda is causing irritations in your skin, you could be sensitive to its uses, and should stop immediately not to cause further damage.